Your unit labels the 24V common as B instead of C. How can I tell? 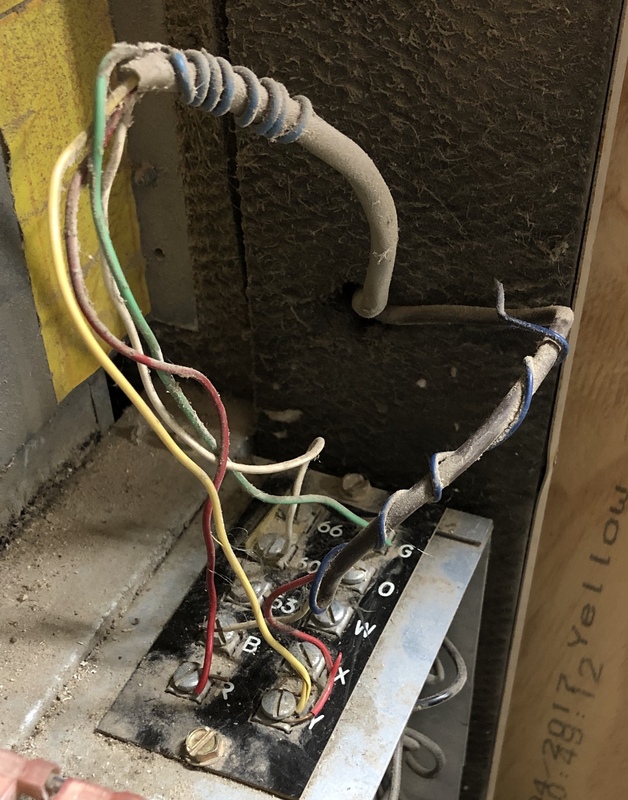 We start with the wire from the thermostat going to the Y terminal on your unit, and then note that since you have central air, the wire from the Y terminal on your indoor unit goes off into the cable to your air conditioner's compressor (outdoor unit). 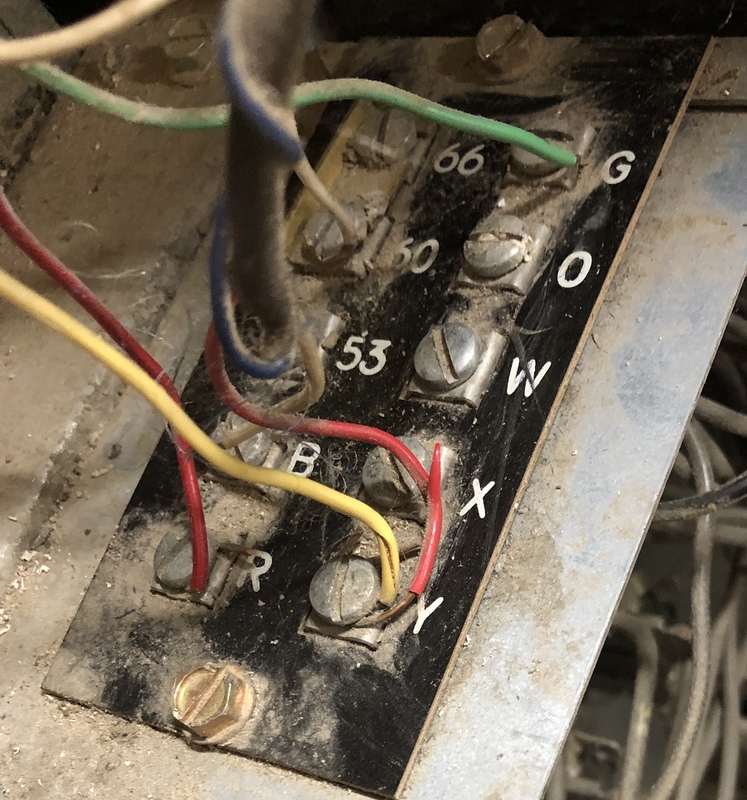 Since the thermostat is applying 24VAC from R to Y (like a light switch) to turn the air conditioning on, then the other end of the compressor contactor's coil must be connected to the 24VAC common for this to work (just like a light fixture needs a switched-hot and a neutral), and that other wire from the compressor connects to the B terminal on your indoor unit. So take the back-wrapped blue wire from the cable going off to the thermostat (the upper cable in your 2nd photo), strip the insulation off the end, and attach it to the B terminal alongside the wire that's already there. Then you can install your new thermostat, turn everything back on, and enjoy!